Miriam Klappe was celebrating her retirement on Tuesday, August 10th with cake and coffee for the public at the Three Hills Post Office. Miriam has been with Canada Post for 22 years, and 15 of those years she has worked at the Three Hills Post Office. Miriam's cake read "In Appreciation of Three Hills Residents." Every year the Automobile Insurance Rate Board (AIRB) reviews mandatory, also called basic, automobile insurance rates. As a result of this year's review, the AIRB is directing Alberta insurers to reduce mandatory automobile insurance premiums by five per cent as of November 1 of this year. Town of Three Hills officials met with Colin Lowden and Mary Saunders on August 5th to hear a proposal. 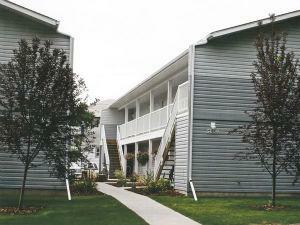 The pair, from Ponoka, started Studio Alberta Affordable Housing, a project designed to provide adequate, affordable housing, primarily, but not exclusively, for Alberta Income for the Severely Handicapped (AISH) recipients, in private, self-contained suites.